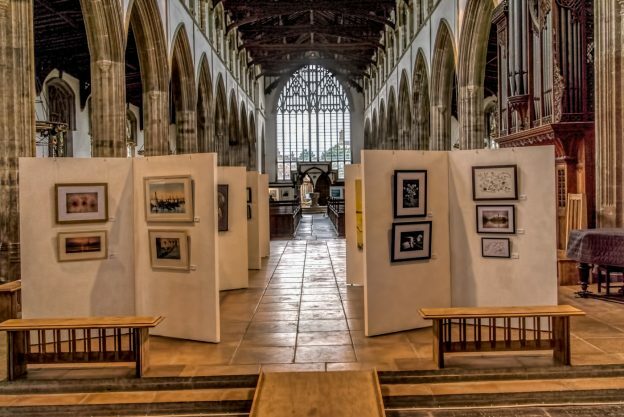 Once a year, at the Summer Exhibition in St. Nicholas Chapel, King’s Lynn, awards are given to exhibiting members of the West Norfolk Artists Association. A special thank you to Veronica Sekules from the GroundWork Gallery for selecting the best in show. This entry was posted in Exhibitions on August 7, 2017 by Esther Boehm. Impressions of this year’s exhibition at St. Nicholas Chapel in King’s Lynn. This entry was posted in Exhibitions on August 1, 2017 by Esther Boehm.